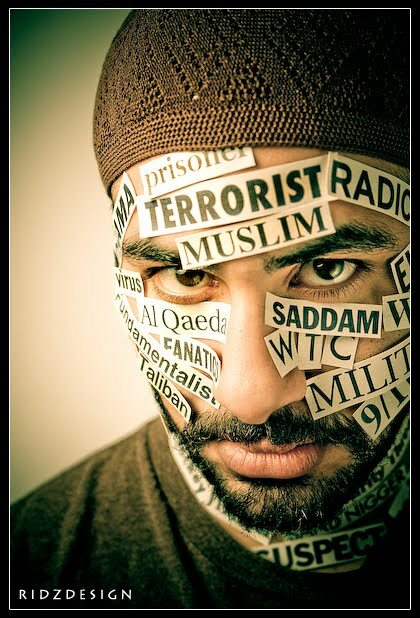 The Islam Awareness Blog: Islamophobia: does Labour measure up? "The Islamophobia Myth" was the title of an influential article by Kenan Malik published in the February 2005 issue of Prospect magazine. It argued that violence, hatred and discrimination against Muslims were at a very low level and that the threat of Islamophobia had been invented or at least greatly exaggerated, mainly by religious leaders hoping to suppress legitimate criticisms of their beliefs and to enhance their own status as community representatives. Malik's thesis was welcomed in some quarters at the time, including among sections of the left. Six years on, far fewer people would buy that argument. Hostility towards Muslims and their faith has reached such a pitch that to deny this represents a major threat is simply untenable. When the racist hooligans of the English Defence League take to the streets in towns and cities across the UK brandishing placards with slogans such as "We will never submit to Islam", chanting "Burn a mosque down" and on occasion breaking through police lines to rampage through Muslim areas smashing shop windows and assaulting passers-by, who could seriously claim that Islamophobia is a myth? The EDL and its ideology did not emerge in a political vacuum. When its leaders claim that Britain is undergoing a process of "Islamification", that the existing legal system is being supplanted by sharia courts or that mosques are potential organising centres for terrorism, they haven't thought up these ideas by themselves. These are themes constantly promoted by papers like the Express, the Mail, the Sun and the Daily Star, and it is this mainstream right wing Islamophobia that inspires and legitimises the more thuggish forms of anti-Muslim bigotry practised by the EDL and other far-right groups. Indeed, Nick Griffin has openly stated that the BNP aims to "take advantage for our own political ends of the growing wave of public hostility to Islam currently being whipped up by the mass media". While Islamophobia is predominantly a right wing political phenomenon, but by no means exclusively so. Because this campaign against a minority community is framed as an attack on their culture rather than their ethnicity, it has been able to win the backing of people with otherwise progressive political views who would recoil in horror from traditional racism based on skin colour. Liberal and leftist Islamophobia is typically couched in terms of a defence of Enlightenment values, secularism, feminism or gay rights, but the effect is to reinforce the right wing narrative of British Muslims as an alien presence and internal threat. Islamophobes of left and right will often claim that they are not attacking Islam as such but rather "Islamism" – a term that is applied so broadly as to cover almost all Muslim organisations which involve themselves in political action, the aim being to blur the difference between those groups promoting peaceful change through engagement with mainstream politics and those advocating violence. Some of the fiercest critics of political Islam have been supporters of the Iraq war like Observer journalist Nick Cohen, who suddenly discovered that Islamism posed an existential threat to western civilisation after the Muslim Association of Britain emerged as a leading force in the organisation of mass anti-war protests. For others, hostility towards Islamism stems primarily from the fact that politically engaged Muslims are vocal critics of the Palestinian people's oppression by the Israeli state. Here Islamophobia is harnessed to the Zionist agenda of delegitimising political support for the Palestinian resistance. The result of all this is a mood of resentment and antagonism towards Muslims, their beliefs and their organisations that extends across the political spectrum and through all sections of society. There are clear and very worrying parallels with the rise of antisemitism in the early decades of the last century. What has the Labour Party's response been to this rising tide of Islamophobia? "Mixed" is the best you can say. In some cases Labour has shamefully adapted to the prevailing anti-Muslim mood. One example of this was the disgraceful propaganda put out by Phil Woolas in Oldham East and Saddleworth during the 2010 General Election, the purpose of which was to "get the white vote angry" by claiming that the Lib Dem candidate was in an alliance with Muslim extremists. A Labour campaign leaflet featured headlines such as "Straight talking Woolas too fair for militant Muslims" and "Lib Dems in mosque planning permission stitch-up". Woolas's election agent suggested privately that traditional Conservative voters who were unhappy about backing the Tories' Muslim candidate might be persuaded to support Labour rather than the Lib Dems "if we can convince them that they are being used by the Moslems". During the by-election that followed the court decision to disqualify Woolas, Jack Straw made a further pitch for the white racist vote by endorsing the myth of Asian grooming. His accusation that some men of Pakistani heritage regard young white women as "easy meat" won him the admiration of the Daily Mail's Melanie Phillips who hailed his stand against "Muslim sexual predators". This was nothing new for Straw. In October 2006 he condemned the Muslim face-veil as a "visible statement of separation" and revealed that whenever a constituent visited his surgery wearing one he asked her to remove it. Predictably, Straw's remarks unleashed a vicious media campaign against veil-wearing Muslim women, with "Ban the burkha" headlines splashed across the front pages of the right wing press. That same month the then Communities Secretary Ruth Kelly announced on behalf of the Labour Government that there would be a "fundamental rebalancing of our relations with Muslim organisations", which involved sidelining the Muslim Council of Britain with its 500 affiliates in favour of an obscure outfit called the Sufi Muslim Council that barely had five members. In 2009 Kelly's successor Hazel Blears took the opportunity to break relations with the MCB entirely, on the basis of an accusation that one of its leading figures, Daud Abdullah, had signed a document "advocating attacks on Jewish communities all around the world" – an accusation that was completely untrue. In repudiating the country's largest Muslim organisation the Labour leadership was also succumbing to pressure from an anti-MCB campaign conducted by John Ware in his 2005 Panorama documentary A Question of Leadership and Martin Bright in his 2006 Policy Exchange pamphlet When Progressives Treat with Reactionaries: The British State's flirtation with radical Islamism, both of which portrayed the MCB as a nest of Islamist extremists. Last year we saw a similar capitulation by the party leadership to an anti-Islamist witch-hunt when the NEC blocked Lutfur Rahman from standing as Labour's mayoral candidate in Tower Hamlets. The decision followed a campaign by Telegraph journalist Andrew Gilligan to expose Lutfur as an ally of "Islamic fundamentalists" at the East London Mosque who had supposedly infiltrated the Labour Party as part of a plot to transform Tower Hamlets into an Islamic state. The people of Tower Hamlets delivered their verdict on the NEC's acceptance of Gilligan's paranoid fantasies by electing Lutfur as an independent mayor with a massive majority. In the interests of balance, it should be added that the Labour leadership's record on Islamophobia has not been all bad. To its credit, the last Government did introduce the religious hatred bill in an attempt to provide Muslims and other multi-ethnic faith communities with the same legal protection as Jews and Sikhs (who are defined as mono-ethnic and covered by the law against incitement to racial hatred) – only to see the legislation sabotaged by an amendment drawn up by Lib Dem peer Lord Lester. However, it is prominent figures on the Labour left who have set an example to the rest of the Party in taking a firm and principled stand against the upsurge in anti-Muslim bigotry. Jeremy Corbyn, for example, has established warm relations with the North London Central Mosque in Finsbury Park since Abu Hamza and his gang were ousted in 2005 and has rejected attempts by the likes of Gilligan and the Quilliam Foundation to smear the present management as dangerous extremists. During his eight years as Mayor of London, Ken Livingstone worked closely with organisations like the MCB and the British Muslim Initiative in defending the capital's Muslim communities and he was uncompromising in his refusal to bend to the forces of Islamophobia, notably in resisting the hysterical attacks that followed the welcome he gave to Yusuf al-Qaradawi during his visit to London in 2004. The struggle to get the Labour Party to purge itself of Islamophobia and adopt a more sensitive approach towards representative Muslim organisations will be greatly strengthened if Ken is returned to City Hall in 2012.